A Plan For Raising Brilliant Kids, According To Science : NPR Ed A developmental framework for building 21st century skills — no technology or money required. Kathy Pasek, one of the authors interviewed, has a son named Benj Pasek. He is a composer who, like his mother, works as one-half of a long-running collaboration. Pasek and Justin Paul took home an Oscar and a Golden Globe this year for one of their songs for the film La La Land. And the original Broadway show Dear Evan Hansen, based in part on an incident in Pasek's life, garnered six Tony Awards, with two for Pasek and Paul for Best Musical and Best Original Score. "Why are traffic lights red, yellow and green?" When a child asks you a question like this, you have a few options. You can shut her down with a "Just because." You can explain: "Red is for stop and green is for go." Or, you can turn the question back to her and help her figure out the answer with plenty of encouragement. No parent, teacher or caregiver has the time or patience to respond perfectly to all of the many, many, many opportunities like these that come along. 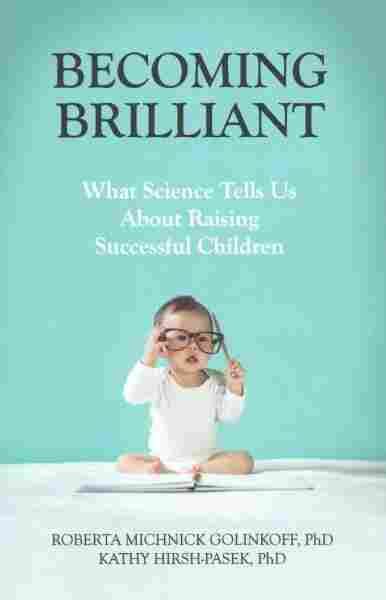 But a new book, Becoming Brilliant: What Science Tells Us About Raising Successful Children, is designed to get us thinking about the magnitude of these moments. Kathy Hirsh-Pasek, the book's co-author, compares the challenge to climate change. "What we do with little kids today will matter in 20 years," she says. "If you don't get it right, you will have an unlivable environment. That's the crisis I see." Hirsh-Pasek, a professor at Temple University and a senior fellow at the Brookings Institution, is a distinguished developmental psychologist with decades of experience, as is her co-author and longtime collaborator, Roberta Golinkoff at the University of Delaware. And with this book, the two are putting forward a new framework, based on the science of learning and development, to help parents think about cultivating the skills people really need to succeed. What follows is an excerpt from our conversation. What led you to write this book now? Golinkoff: We live in a crazy time, and parents are very worried about their children's futures. They're getting all kinds of messages about children having to score at the top level on some test. The irony is, kids could score at the top and still not succeed at finding great employment or becoming a great person. Hirsh-Pasek: If Rip Van Winkle came back, there's only one institution he would recognize: "Oh! That's a school. Kids are still sitting in rows, still listening to the font of wisdom at the front of the classroom." We're training kids to do what computers do, which is spit back facts. And computers are always going to be better than human beings at that. But what they're not going to be better at is being social, navigating relationships, being citizens in a community. So we need to change the whole definition of what success in school, and out of school, means. You present something you call the 21st-century report card. And it contains six C's, which I've seen versions of elsewhere: collaboration, communication, content, critical thinking, creative innovation and confidence. But what's new is the way you relate these skills to each other, and also, you've described what they look like at four levels of development. Hirsh-Pasek: The first, basic, most core is collaboration. Collaboration is everything from getting along with others to controlling your impulses so you can not kick someone else off the swing. It's building a community and experiencing diversity and culture. Everything we do, in the classroom or at home, has to be built on that foundation. Creative innovation requires knowing something. You can't just be a monkey throwing paint on a canvas. It's the 10,000-hour rule: You need to know something well enough to make something new. Golinkoff: There isn't an entrepreneur or a scientific pioneer who hasn't had failures. And if we don't rear children who are comfortable taking risks, we won't have successes. OK, and for each of your six C's, you also go into what they look like at four levels of development. Can you give us the deep dive on one of these? Golinkoff: So, critical thinking. First you have to have content, right? Most people at their desks at work have papers, books, magazines all over the place. Information is doubling every 2 1/2 years. We have to figure out how to select and synthesize the information we need. So, at Level 1, we call it "seeing is believing." If someone tells you alligators live in sewers in New York City, you buy it. At Level 2, you see that truths differ; there are multiple points of view. You learn Columbus discovered America, then you learn that there are alternative narratives — the Native Americans already lived here. This is kind of when critical thinking starts. At the third level, we have opinions. All of us have used the phrase "they say." That will get you into trouble because it shows little respect for science or evidence. At Level 4, we talk about evidence, mastery, the intricacies of doubt. E.O. Wilson, one of my heroes, the biologist, says we're drowning in information and starved for wisdom. When we're getting to be more at Level 4, we'll see the gaps and the holes in a line of reasoning. Critical thinking is what leads to the next breakthroughs in any area. In addition to breaking down the six C's and four levels within each of them, you also cover the opportunities for parents, teachers and grandparents to cultivate those skills. Talk about that. Golinkoff: So, if you're going to have a kid who engages in critical thinking, you're not going to shut them down when they ask a question. You're not going to settle for "because." You're going to encourage them to ask more. And you want them to understand how other people think. If you see a homeless person in the street: What do you think that person is thinking? How do you think they feel about not having a home? Get someone else's point of view activated to help them recognize that things are not always what they appear. That's going to help them understand critical thinking. OK, so that helps me understand how these skills are all interrelated. Perspective-taking, which I think of as a component of empathy, you're saying is also foundational for critical thinking. Hirsh-Pasek: Yes, theory of mind is important to be able to do critical thinking. A big part of what you're doing with this book is to try to get parents to supplement what's going on in school. Talk a little more about that. Hirsh-Pasek: One of the biggest concepts is breadth. Learning isn't just K-12. It starts prenatally. If you get a bead on what your children are and aren't being exposed to at school, that will suggest the kinds of experiences you want your children to have outside of school. And you want people to look at where they themselves fall in the four levels within the 6 C's, right? It's not just for kids. Hirsh-Pasek: Yes. 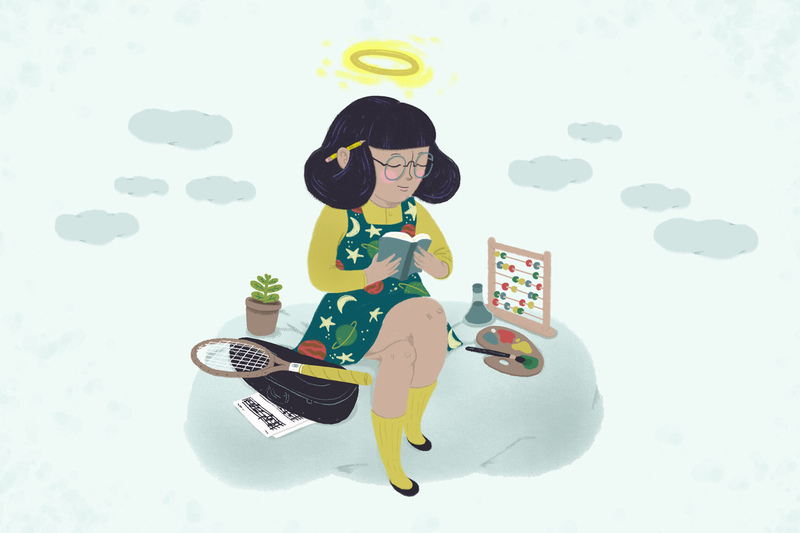 I can say as a mom, well, let's think about it — who am I as a collaborator? Am I an on-my-own kind of girl [Level 1] or a side-by-side [Level 2]? When I was rushing my kids to get dressed and out the door, I was an on-my-own. I wish I weren't! It's not a big deal to let my kid try to pick out his wardrobe. Who cares if it's stripes and plaids? Let's see that back-and-forth collaboration is built into our routines. And then, how much communication is built in? Did we tell a joint story or did I just read the book and get it over with? It's a really good idea to evaluate ourselves according to the grid. We can ask where we want to grow as parents. Then we can ask, with the same grid: What do I want for my child? Where is my child now, and how can I build an environment in my house that will enable the child to grow up with these different skills? Wow. OK. So this is really reinforcing the idea of learning as a social, relationship-oriented process. It's not just a grid for sorting and measuring our kids; it's about how we are relating to our kids. Golinkoff: The other thing I think is crucial to notice is that we're talking about doing things in the moment with your child. Notice we're talking about buying nothing, signing up for no classes, and no tablets. Not that we're Luddites, but we're talking about how the crucible of social interaction between child and parent really helps set up the child for the development of these skills. We're particularly concerned about confidence. At school, when kids are being encouraged to get the one right answer and fill in that bubble, people can do things that enable their children to solve problems in multiple ways: "Can you think of different ways to make the bed?" It costs nothing, and the child is learning, "I have good ideas, I can be creative, and I can show you that I have confidence." And the bed gets made.